INN Reader Survey – A Survey for You, A Reader! The Imperium News Network has always been dedicated to bringing you the best Eve-related news and commentary in the best format possible. In recent months, we introduced another streaming channel to our family, FatBeeTV. FatBeeTV is here to give you, our wider audience, a larger variety of content that you might be interested in if you’re out there winning Eve, or simply wanting to find something new. In another part of our ongoing efforts, we recently overhauled our staff structure and developed the “Silo of Anarchy,” which is a vehicle for interdisciplinary collaboration. Our Silo of Anarchy is a department that works to bring together individuals with different skills (writers, video producers, artists, and even some of our streaming colleagues) to produce the fresh and unique content that you want to see, and we want to be making. We’ve always had great talent at INN, and I’m thrilled to be a part of this new multidisciplinary team approach. Already these volunteer-driven teams have brought us a fresh new recruitment page, several collaborative articles, and there are a number of ideas currently in the works! I can’t wait to show you what all they’ve been working on. One such team has been focused on bringing INN a fresh new look and overhauling our theme in a way that makes reading INN an even better experience for you. As part of this effort, we’ve put together a brief, 10 question survey. We want to know how you use INN and how we can better deliver it to suit your needs. Please take a few minutes to fill out the survey, so that we can bring you an even better spaceship video game related news experience! 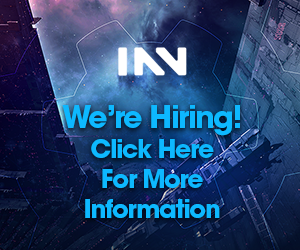 If you have an idea for an ambitious, creative, fun, or just really complicated project and would like to see it realized, consider joining the INN team! It’s not a video project, but we do have an article series very similar to what you describe currently being produced. You should see the first one in the next couple of weeks with new installments regularly after that. 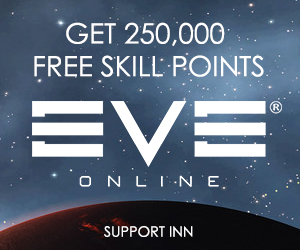 I’d echo that INN is in a unique position to provide unique content and probably should. You could potentially own Eve News exclusively. Like having a keepstar in Perimeter, but it’s real.